(cough cough, sneeze, scratch) Even the roof of my mouth is itching. 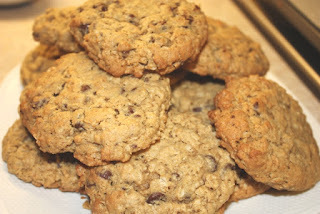 I'll "scratch" it with a crispy oatmeal chocolate chip cookie, I baked yesterday. Yeah, yeah...that will work!